It's good to see that we English are not the only ones being driven mad by the performance of our national rugby team - Irish rugby supporters also seem to be heading down the same road. One Irishman, in particular, seems madder than most. 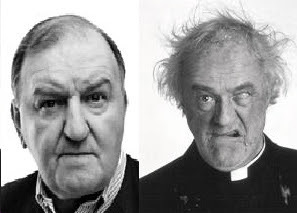 Described by the Belfast Telegraph as being " an even angrier version of Father Jack Hackett" (which the photos do appear to confirm), legendary Irish rugby pundit George Hook apparently spent much of Saturday's game raving about O'Sullivan's inadequacies. "That's absolutely horse manure," he said on RTE's coverage of the Ireland v Italy match, responding to the somewhat mischevious suggestion that Conservative Eddie was Ireland's best ever coach. 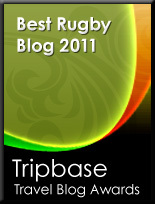 "I don't care if we beat Georgia, Namibia or Besotaland, I want us to do well in World Cups and Six Nations." "He has retreated into the Fuhrer bunker. If Eddie was in Berlin in 1945, they'd still be fighting. "He just retreats and won't give in, he's playing with imaginary Panzer division."